It won’t reach the UK until summer 2016, but we’ve already driven two distinctly different versions of the all-new, fourth generation Renault Megane. So far only a conventional five-door hatchback has been revealed, aimed squarely at the Ford Focus, Vauxhall Astra and Volkswagen Golf, among a plethora of other rivals. In time the range will be fleshed out to include other body styles such as a replacement for the Megane Sport Tourer estate, but there’ll be no replacement for the Megane Coupe. The company confirmed we can also expect a replacement for the Renault Scenic to be spawned from the same Megane underpinnings, too. 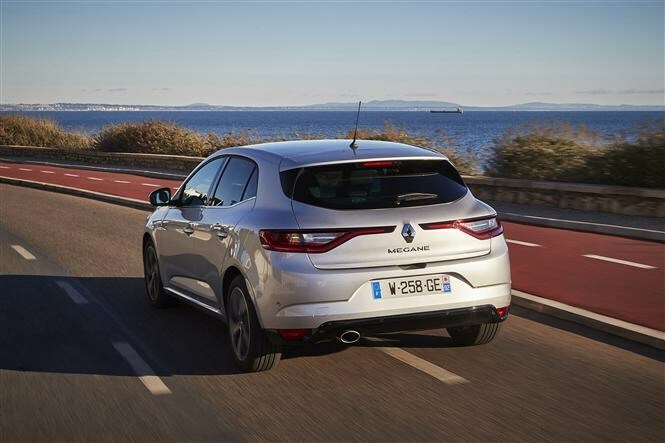 Renault’s bestowed its new design direction upon the latest Megane, following similar treatments for the not-for-the UK Espace and Talisman (Laguna replacement) models. The front is dominated by an enormous diamond logo set within the grille, while the headlights have a new signature LED tail for the day running lights (DRLs) which curves into the bumpers. Along the flanks the new Megane looks pleasingly unadorned although the panels themselves are muscular, especially around the front and rear wings. There’ll be no mistaking the new Megane for anything else at the rear either with slender yet very wide LED tail lights stretching across almost the whole width of the car. Interestingly these also act as day running lights so are permanently illuminated. From launch there’ll also be a Renaultsport-tweaked GT version with suitably enlarged grilles and styling details such as the rear diffuser. Inside there’s been a major lift in quality and, for higher specification versions, an 8.7-inch infotainment touchscreen in a portrait formation in lieu of the standard seven-inch landscape variety on higher-specification derivatives. Soft-touch plastics, ambient lighting and high quality, modern trims and upholsteries were also in evidence. Renault is yet to confirm which of the ten engine and gearbox combinations are going to come to the UK and so far we’ve driven a couple of the likely contenders: the 1.6-litre dCi 130 diesel and the most potent of the launch range, the RenaultSport-fettled TCe 205. Impressively hushed, the diesel Megane offered decent performance thanks to its 320Nm of torque from a relatively-low 1,750rpm. 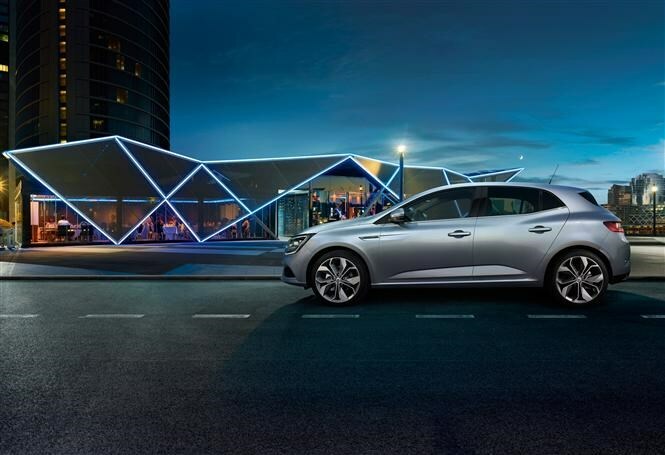 Renault claims CO2 emissions of 103g/km and an average fuel consumption of 70mpg. Its six-speed manual gearbox has quite a vague change action compared to the Golf and Focus, but there was better news with the direct steering which is sensibly-weighted and offered a reasonable level of feedback. The ride quality also impressed, ironing out rougher surfaces without feeling wallowy. While the speed of the petrol-engined GT caught our attention – top speed of 142mph and 0-62mph of 7.1 seconds – it didn’t sate our enthusiastic side as well as we’d hoped. Renault claims it will return 47mpg and emit just 134g/km of CO2. Leave the dual-clutch seven-speed automatic to its own devices and it struggles to always be in the right gear, hesitating between ratios before making a decision. You can overrule it with the steering column-mounted paddles plus there’s a feature to allow several gears to be dropped in one hit, rather than each one sequentially. Disappointingly, the GT’s steering tells you less about what the front wheels are up to than the diesels but it does have a four-wheel steering function. At lower speeds the rear wheels turn in the opposite direction to the fronts – it increases its nimbleness around tight corners, giving a mere hint of handling like a rear-wheel drive car, but it doesn’t add to the fun factor. At higher speeds the back wheels point in the same direction as the fronts, increasing stability for motorway driving – here the sensation’s less apparent. Of greater interest for the majority will be the diesel-sipping 1.5-litre dCi 110 with a six-speed manual transmission. 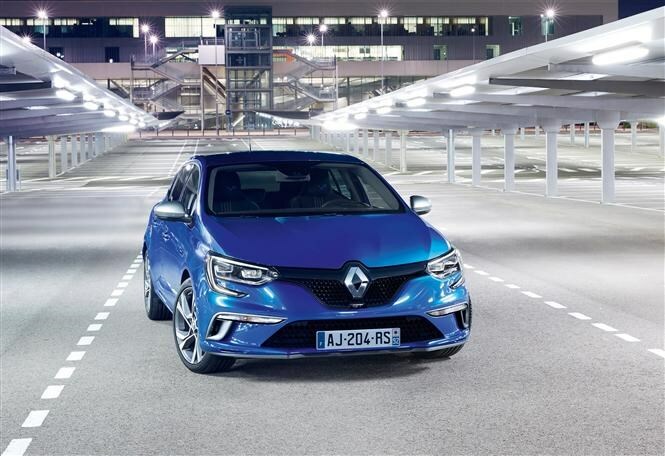 Renault claims with this motor the Megane achieves a combined average of 85mpg, emitting just 86g/km of CO2 in the process. Renault’s also confirmed that a diesel-electric hybrid Megane will join the range the following year, nudging economy beyond 94mpg. As well as the 8.7-inch portrait-format infotainment touchscreen the available in the latest Renault Megane, a suite of other features normally associated with more expensive cars, can also be fitted. There’s a full-colour head-up display system and a seven-inch electronic instrumentation display, the colours of which can be varied depending on different driving modes. Changeable interior mood lighting’s also fitted to higher specification levels. 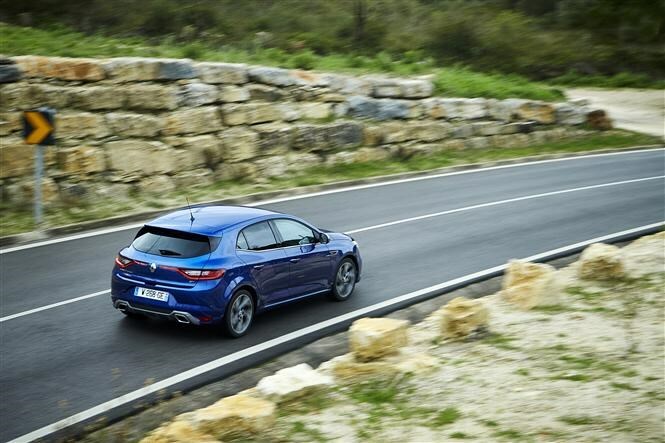 Those different driving modes – Sport, Normal, Comfort, Perso (for personalised) and Eco (or Renaultsport on GT versions) – are accessed via the Megane’s Multi-Sense system which also allows accelerator pedal response and gear change points on automatic versions to be adjusted. 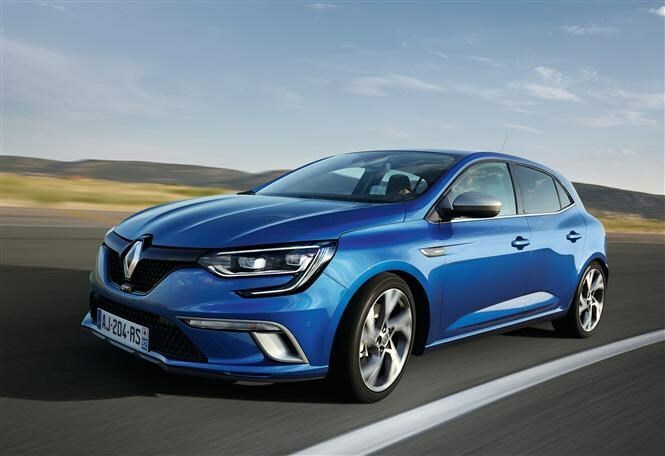 Renault has yet to reveal prices for its all-new Megane range but expect them to be higher than the outgoing versions when the car’s available to order in the middle of 2016. We’ll be conducting a full test of the UK version of this bold family hatch next year when we discover if the all-new Renault Megane will shake up this busy market segment. 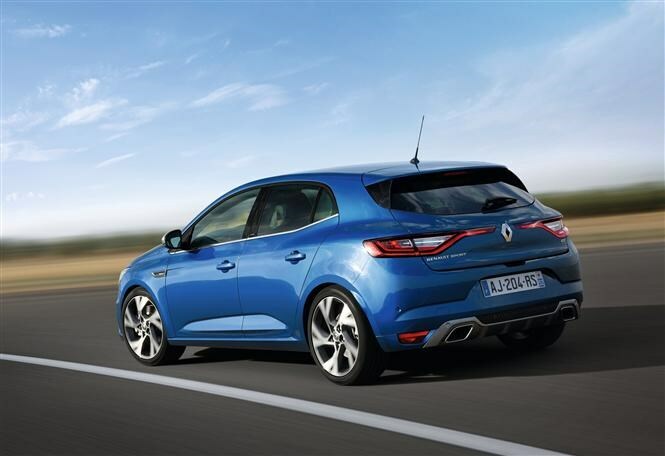 To read the full current Renault Megane review click here.